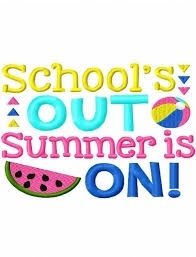 Well here it is….Schools out for summer. I believe most all of the local schools are now on summer break. Now the parents get to have the children full time till August-September. So what's the plans?